Alamo at Louis Armstrong International Airport in New Orleans was out of the mid-sized car we reserved, so the company bumped us up. The only cars available were “premium” models. They gave us a 2016 Buick LaCrosse. I groaned to myself. My grandparents drove Buicks. They had two or three Buick Le Sabers that I remember. Each was nice – much nicer than my parents’ station wagons that hauled six kids around. Buicks of the 1970s and 1980s were not sleek or cool. My grandparents’ Buicks were always nice, even luxurious, with wide bench seats perfect for a kid under 10 to stretch out on to sleep during those seemingly endless drives from Maine to Mount Vernon, New York. The 2016 Buick Le Crosse we just returned was different. Felt more like a Lexus inside: Heated leather seats, push-button start, back up camera, sun roof, hands free phone connection. It handled like a Lexus too: easy, tight radius turns, smooth ride, extremely quiet. The one Alamo assigned to us was pretty darn new – only 230 miles. We put more than 600 on over four days. It accelerates nicely – 50 to 80 in a matter of seconds when passing a pokey car on a two-lane road in Mississippi. It brakes great too – as evidenced by the fact that I did NOT hit the nut case driver who pulled out in front of me in Alabama. The low head clearance. I raised the seat up so I could over the dash, which put my head just a couple of inches from the roof. I got used to it, but it was a little tight. My 6-2 son lowered his seat. The windows are small. The back-up camera helped, but since I don’t have one on my car at home, it took some getting used to. It cruised smoothly and quietly along the highway. Much quieter than my 2004 Toyota Sienna XLE Limited! Trunk space was decent, though the wheel wells cut into this pace. It was fun to drive. It had a great turn radius! We were shocked … the old Buicks were boats. Bottom line: Would I buy one? Probably not. I live in snow country. My next car will have four-wheel drive or all-wheel drive. Would I rent one again on purpose: Yes! Would I encourage others to test drive/consider buying one: yes. The price is around $40,000. Have you driven a car you love? Would you buy a Buick? Most of us tend to digest information we see and hear faster than information what we read — on the internet, that means VIDEO! People tend to just scan intense blocks of type. Using bullets, bold subheadings and phrases all catch a reader’s attention — but video does more. Adding a welcome video to your homepage allows you to get your message across quickly — and you set the tone and control the message. Video lets people feel they know you – and people prefer to do business with people they know. Video improves your Google search rankings. It offers another “entry point” to your message – and gets visitors to spend more time on your website. It allows potential clients to see – and hear — your value proposition. It’s an opportunity to voice a direct call to action. Video engages your audience — which increases response rates. People get to know you, your product or service before they call. Connecting with customers involves emotions. They’ve already visited your website. Seeing and hearing you connects them with your product, helps them understand your service. New content drives search engines. Adding video to your site – and to your (free) custom YouTube channel – ups your Search Engine Optimization (SEO) with Google. Using one or two key words in the video title and copy adds another SEO benefit, as does promoting it on Twitter, Facebook, LinkedIn. Your video can be on multiple locations, without creating issues of duplicate content. Introduce yourself and your unique value proposition directly with a video – Smile. Integrating video into your social media marketing strategy expand your opportunity to be discovered — to convert casual browsers into customers. Take an expansive approach by sharing your video through your own social media networks and allowing visitor to share it as well. Millennials love video — and adding a YouTube channel for your company also boosts your Google profile. Video helps you and your company to stand out. Depending on your industry, it can give you a leg up on competitors – or keep you from being left behind. Video has been around for years, yet many companies resist integrating it — or do it very badly. Professional video is worth the investment — the quality of lighting, sound and editing all make it worth the investment. Using video on your website definitely gives your company an edge! Most companies live by numbers. Executives want to see the metrics. Key Performance Indicators (KPI’s) for websites with video is one more tool to help increase unique visits, contact requests, and, ultimately, sales. Video on a website allows you to deliver your message anytime — it’s available 24/7. It also works as a sales tool — you and your sales team — can include this personal message in emails and presentations to clients. Have you integrated video into your strategy? Did it make a difference? If you haven’t — let’s talk! Holly O’Driscoll is a PR/Media Strategist with Communications Strategies in Reno, NV. You can reach her at 775-762-7576. Does anyone else out there hate the redesigned NBC News website? It looks like a Pinterest page … all big photos, no information. I am a self-proclaimed news junkie, veteran journalist interested in national and world news — as well as what happens in my city and state. The new format repels me — the NBC News site used to be one of my top spots for a quick headline check. Now I avoid it — even CNN’s website is better. My first journalism job was a summer internship with WGBH-TV in Boston. Back then, the station had a live 10 o’clock news program — I ran the teleprompter and worked in the control room. I only went out on a few stories … but it was fun and I learned so much! I found WGBH a great experience for a complete novice. The news staff was generous with their time and information. I graduated from college thinking I wanted to become a TV news producer — not necessarily the on-air person, but the editor making all the decisions behind the scenes. Circumstances landed me in Washington, D.C. — a mecca of political news. My first newspaper was USA Today. It was a brand-new (and much-ridiculed) concept at the time. I worked on big stories, learned about the power of big money and of cut-throat politics — both inside the company as well as on Capitol Hill! Top execs and politicians play hardball — very few manage to succeed without making serious ethical compromises. It’s reality. Those in the line of fire must constantly out-maneuver the competition to get ahead, or even just to keep their jobs. Those who don’t end up on the curb. I contend life outside the bubble — in a “real” community — has much to recommend it. Politics, ambition and money play a role in every city … but usually on a more manageable scale. I still keep up on the old rat race — the Washington Post, Politico, The Daily Beast, Slate, ABC, CBS, CNN — but rarely NBC anymore. I miss the old “news” format. I’m not the target audience, obviously. I wonder who is? My guess: People who care about photos, not facts, not perspective, not NEWS. I wonder what the user statistics will reveal. I used to check it at least twice a day — sometimes lots more. Now, maybe once a week — and I haven’t clicked on a single story. I read one comment that said it was as if Pinterest swallowed Windows 8 then vomited — I agree! What do you think? Are you a fan? Tell me what appeals to you about the new format. Hate it? What should they do instead? When customers tell your story – by sharing how what you do helped their business – everyone wins. You win – The genuine voice of the customer boosts your credibility in your space far more than any advertising or marketing message can. Prospects win – They hear or read first-hand stories about how your product or service helped someone else. Here’s a link to a video I produced for a special event. In it, senior executives talk about the value of attending the event – and the value of working with this particular company. Each of these customers gained a personal win by participating, one they can share within their own circles. (One executive from an earlier project told me how he became a hero to his kids when they saw him in the video we put together). Offering to identify the speakers by title and industry – not name and company – makes such projects easier. I pre-arranged to meet with these people at the event, and provided the questions to them in advance. My goal: To make them, and the company look good! Many large companies have non-disclosure agreements in place, so on-camera endorsements may require legal releases. With end consumers or simpler business-to-business relationships, the legal release may not come into play. Once you capture a customer success story, the next step is to post it on your website and encouraging salespeople to share it with prospects.Sharing the customer’s voice via social media is essential — and a step often overlooked. YouTube, LinkedIn Groups, Twitter, Case Studies (written and video) all offer ways to get the word out about the value customers get from working with your company. This helps draw others to your brand. Nothing beats the genuine voice of a satisfied customer. The bonus: Posting on social media outlets generally is free. Have you done a video for a cause or company? What tips can you share to boost success? I’d love to hear about it! VizKinect founder Norm Smith (right) and COO Ron Nichols flank the development team of Mbinya Ndonye, Bailey Hein and Ellin Nesbitt at their offices at C4Cube in Reno. revolutionize the way advertisements, movies and other media get our attention. 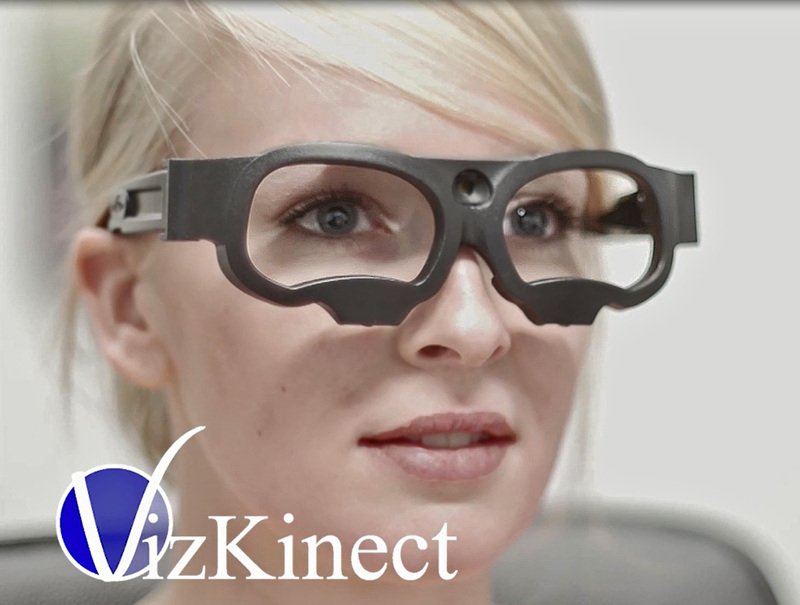 The VizKinect system takes eye-tracking, which has been around for 30 years in various forms, and simultaneously expands and simplify the entire process. The value to advertisers is immense, said Norm Smith, VizKinect chairman and president. VizKinect will test focus groups of up to 20 people at once, analyze the results quickly to produce nearly instantaneous feedback. “This will be a game changer (in several industries),” Smith said. Advertisers and product-placement specialists will be able to tell if consumers see their message before spending millions on actually airing the ad on television or paying for a product to be in a movie. Up until now, eye-tracking was done one person at a time in a lab with elaborate equipment. Almost every research institution has a version, but it becomes obsolete, is expensive to buy and to train people to use, plus eye color and skin pigmentation can throw off the results, explained Ron Nichols, VizKinect chief operating officer. Not so with the VizKinect system. VizKinect uses no invasive equipment. Test subjects either wear special glasses, or have a special scanner follow their eye movements. They just sit and watch the screen. The system records (tracks) where individuals look at a video screen. Do they look at what an advertiser or movie director wants? The data will tell. Smith, a successful serial entrepreneur, said $354,000 has been invested in developing and refining the VizKinect system so far. It has two patents pending and numerous trademarks on the unique programs and equipment. The company is seeking $3 million from investors to expand. “Part of the beauty of VizKinect is that it will adapt and change over time and we can use (any type of) tracking technology,” said Nichols. The uniqueness is in the system, the code and the analysis process, which the team, including Ellen Nesbitt, Bailey Hein and Mbinya Ndonye, has spent months refining and streamlining to work out the kinks. Focus groups can be run in VizKinect’s offices in Reno or at a client’s location – with results delivered in time to reshoot for more effectiveness. Basic focus group and analysis work starts at $5,000. For an agency spending millions on producing and placing an ad, it is money well spent, Smith said. Data can be broken down by age, gender, race and other metrics, Nesbitt said. It’s working. Several types of companies have offices within C4Cube, including Eye-Com, another business working with biometrics in a very different way from VizKinect. “Reno is a great place to start a business,” Smith said. VizKinect is ramping up its staff. This summer it will have 10 employees and interns on board, by the end of 2013, Smith expects to have at least 72 working for the company. Most will be inReno, though the company expects to go global. Founded in April by childhood friends who are now local business owners, Reno Rebuild Project captures a portion of every dollar spent at certain local restaurants and puts it into a fund that will eventually help others open a business. Michael Connolly, Chris Kahl and Zachary Cage run the Legends Grill, Sierra Tap House and the soon-to-open Brewer’s Cabinet started Reno Rebuild. The group pledged 5 cents of every sale at these establishments to the fund. They made their fist deposit into the account on May 1. “We have a current cash balance collected of $5,485.55! It is definitely a great start with our goal being $20k for 2013, so we are on a great pace,” said Michael Connolly. After a year of deposits, the fund will be used to award one loan to non-franchised, small, local businesses. The Community Foundation of Western Nevada, which is helping make the Reno Rebuild Project a non-profit organization, will administer the fund and help establish eligibility guidelines. One guideline already set: Each application must include a detailed business plan. As the fund grows, the trio hopes to award more than one low-interest loan per year. Reno Rebuild grew out of the trio’s struggle to get funding to start their own venture. Banks and other traditional sources simply wouldn’t lend, so they tapped into family and friends for financing. Realizing that not everyone has family and friends who can provide such support, they developed Reno Rebuild to extend a hand to other entrepreneurs. Other businesses have already expressed interest in participating in the program. “We also structured it to where other business owners and individuals in general can put money in,” Connolly said.